If you’re a fan of consuming meat, you’ve likely noticed that meat comes in different grades and varieties. There’s beef, pork, chicken, and other more exotic meats like alligator, rabbit, ostrich, and so on. Just because you like the “Big Three” (beef, pork, and chicken) doesn’t mean that you’re settling for a lesser quality of meat. Beef in particular has a few special brands and varieties that people pay top dollar to try. One such beef hails from the tiny island country of Japan, and is called Kobe Beef. In case you’ve never heard of it, or are just curious to learn more about this insatiable food product, Kobe beef is a delicacy enjoyed around the world, but mainly prepared in the lovely country of Japan. 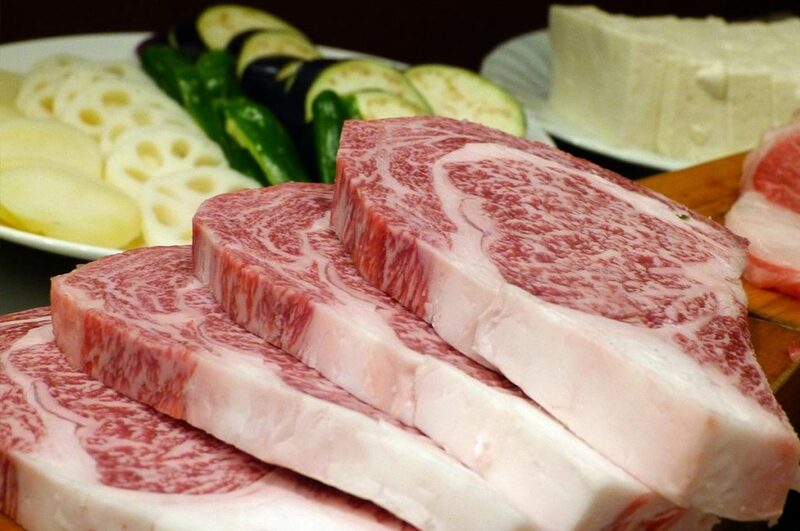 Better known for its eye-catching marbled texture, Kobe beef is sought after by chefs and meat connoisseurs alike. It has an indescribable flavor, amazing texture, and a much higher amount of intramuscular fat than other meats. 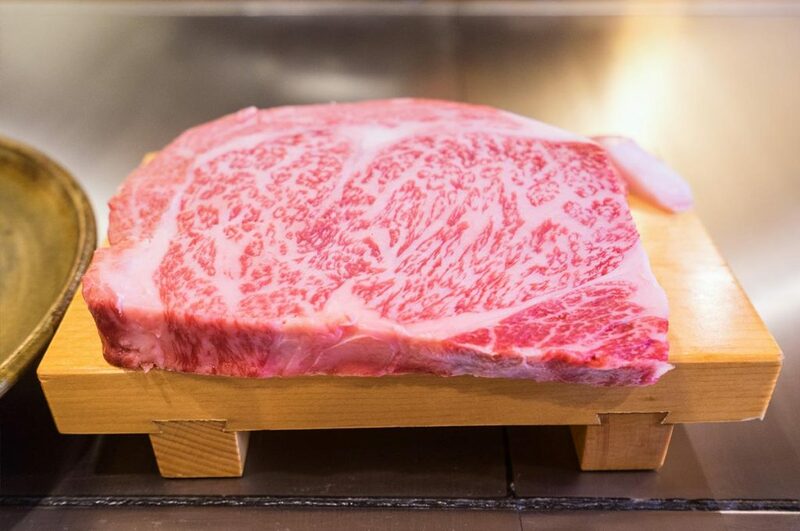 That higher concentration of fat is just how Kobe beef gets its superb marbling complexion. How is Kobe Beef raised? Kobe beef comes from Tajima-gyu cattle, and has to go through rigorous screenings and checks to ensure that it is proper Kobe beef. Firstly, the cow itself must be a purebred Japanese Black steer (castrated bull) or virgin cow from the Tajima-gyu lineage. The animal must be born and raised exclusively in the Hyogo Prefecture of Japan and can only be fed grains and grasses from that prefecture. The slaughtering has to be done within the prefecture as well, and the cow has to have a weight of 470kg or less upon carcass weighing. 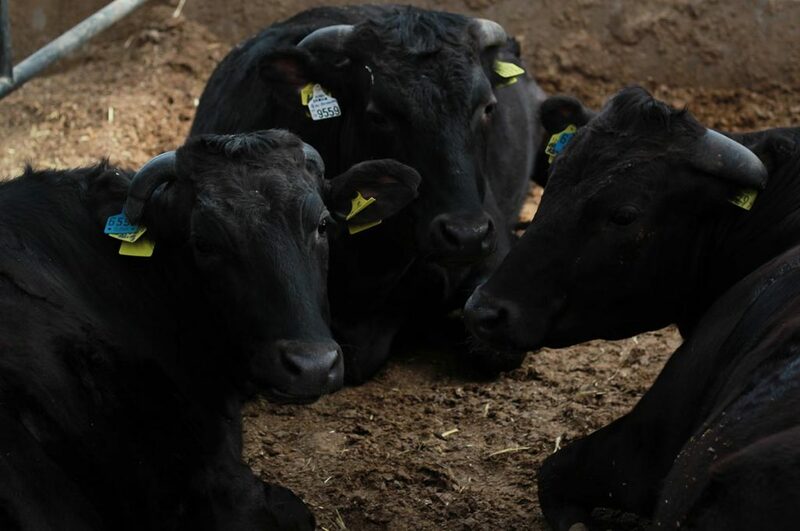 Though there are many rumors about how the cows are fed and raised – such as the rumor that these cows are massaged daily and given beer to induce a larger appetite – the actually rearing process is a closely guarded secret that few know about. There are three things we know for certain about Kobe beef: they’re played classical music to soothe their nerves; massaged with sake in order to keep their coats soft, meat tender, and fat evenly distributed on their bodies; and given alcohol during summer months to increase their appetite when they otherwise wouldn’t want to eat. Along with these important steps in the raising and preparation of the meat, each animal has its own 10 digit serial number that allows its entire lifecycle to be entered and checked from a large database to ensure authentic meat. 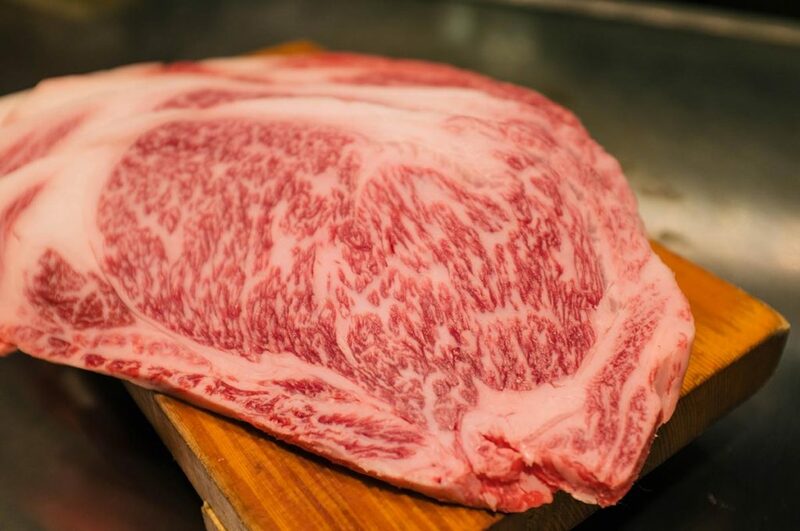 Kobe beef also has to have a fact marbling ratio (BMS) of 6 or higher and a Meat Quality Score of A4 or A5 (the highest top-grades meat can receive). How is Kobe Beef cooked? There are many guides online for how to cook any A4 or A5 quality meats, but we’ll go ahead and give you a quick rundown in case you’re thinking of purchasing a steak or two for yourself to try and prepare at home. First, you want to thaw the meat in the refrigerator the night before if it was frozen, then leave it on the counter before cooking to bring it up to room temperature. Trim the fat around the edges of the meat and use said fat trimmings to grease the pan. Only when you start getting a nice, smoky oil in your pan, drop in your pre-cut pieces of Kobe beef and simple sear the outsides. Ensure that you don’t overcook the inside of the meat, as you don’t want the fat to melt, just cook a bit. You can add a few spices at this point if you like, though it’s recommended to not overdo so since the flavor of the meat itself is the most important factor here. You don’t want to pay a ridiculous amount of money to just taste a super salty piece of meat. When your meat is done cooking, let it rest for twice the amount of time you cooked it for (so if you cooked it for two minutes for a rare steak, rest for four minutes before eating). Now that the meat is cooked and rested, it’s time to eat! 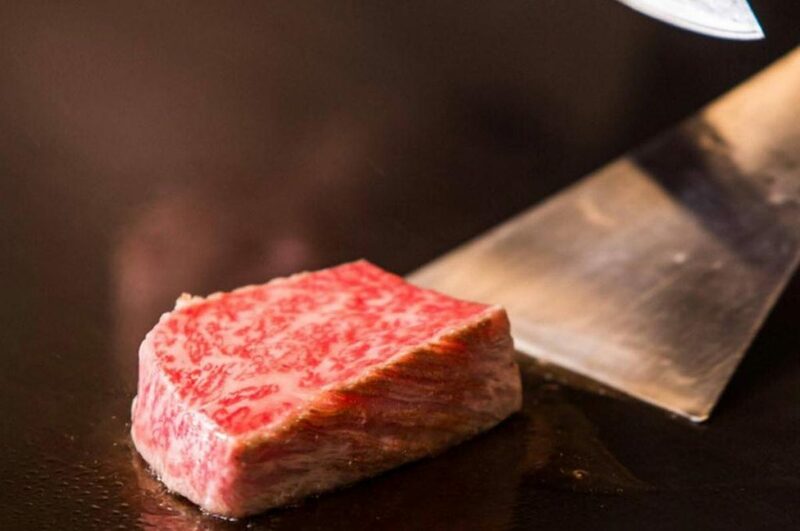 Where to eat the best Kobe Beef in Japan? Not only is the food here amazing, but the owners of the restaurant are a delight to interact with! Catering easily to foreigners and locals alike, people feel at home when they enter this cozy restaurant. 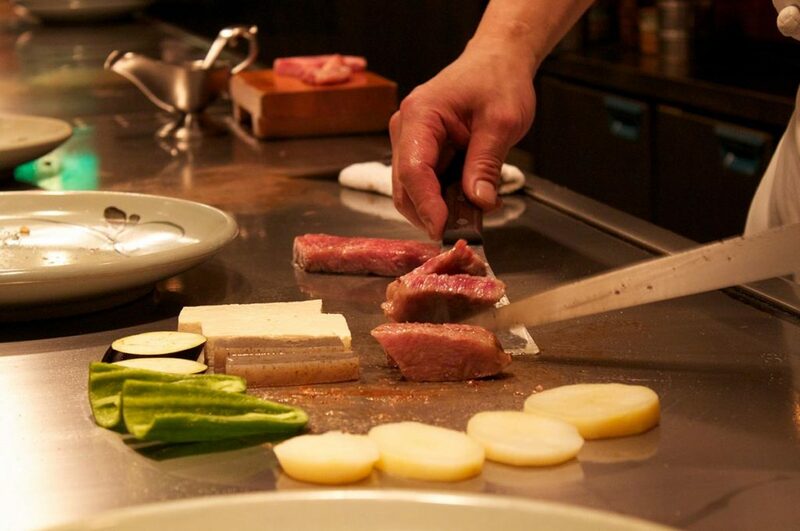 They also, of course, serve delicious Kobe beef cooked to perfection! This restaurant has always been a hotspot of activity throughout the years, and with so many satisfied customers coming back for more, they’re always happy to serve top quality meat with top quality service. If you’re looking for something a little more personable, then you better book ahead at Steak Aoyama. Seating is limited so that the owners can give the highest quality experience to each guest, and many people are turned away daily for not having a reservation. Unlike one of the more popular chain restaurants that’s seen quite a bit of popularity around the world where chefs prepare food in front of customers in a flourish of showy throws of food and utensils, Steak Aoyama keeps everything very traditional and very straightforward. Come, eat, and be happy! For this high-end restaurant, booking is a must. Those who can’t book ahead will be sorely disappointed when they’re turned away at the door, but with such a high-end selection of meat it should be obvious that supplies are limited. 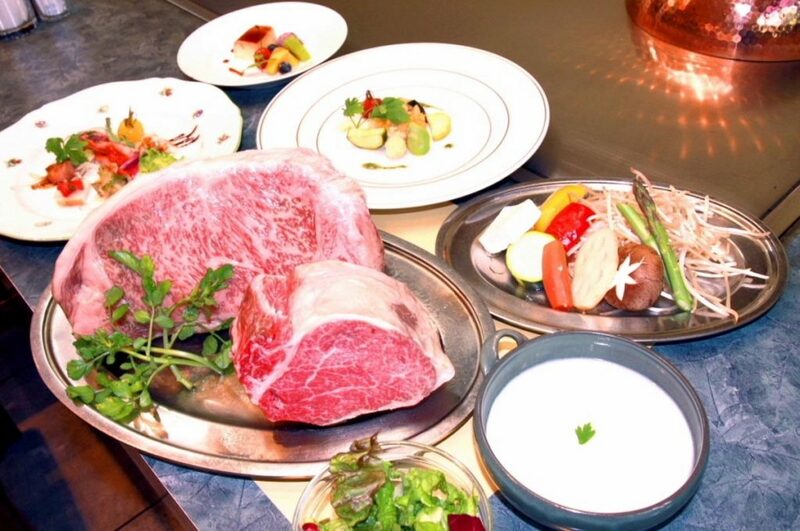 With personable staff and friendly customer service, the delicious Kobe beef isn’t the only benefit of paying a visit to Kobe Beef Steak Ishida Kitanozaka – as long as you remember to reserve ahead of time! How much is Kobe Beef? Unlike other meats that you can just stroll down to your local deli and purchase, Kobe beef is only exported from Japan in limited quantities and is very sought after by chefs around the world. If you’re lucky enough to even see Kobe beef being sold somewhere, you might be disheartened after one glance at the price tag: $150 (American) and up per pound. Don’t despair; although the purchasing of such meats will set you back a pretty penny, there are restaurants around the world that cater to the need to serve top-quality meat, and may in fact also sell Kobe beef. 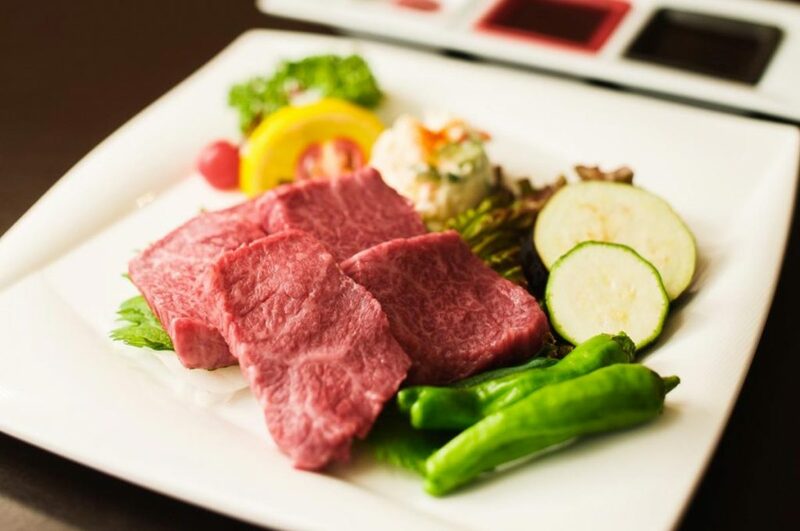 Once you’ve found a reputable restaurant that serves legitimate Kobe beef, you’ll be pleased to know that most dishes feating this delectable meat are right around the $50 mark. If you ever find yourself in the unique position to try authentic Kobe beef, do it! Making up only 0.06% of the amount of meat consumed in Japan (with very little leaving the country), this exclusive food product should be on nearly every person’s ‘must try’ list for cultural foods. Even if you can’t get your hands on Kobe beef specifically, there are other wagyu beefs in Japan that are pretty close in exclusivity and taste. 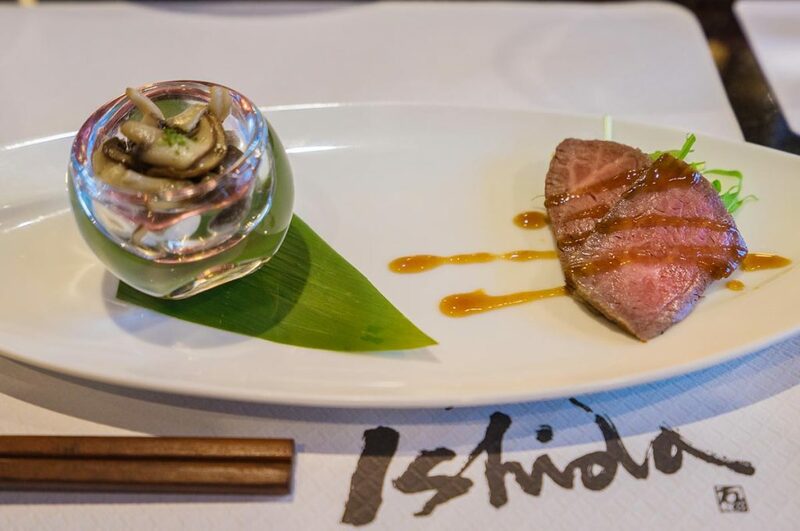 For those seeking only the best of the best for their tastebuds, Kobe beef is a must. Kobe Beef isn’t the only famous Japanese meat, Wagyu Beef unique from Japan and pretty popular (and expensive) too. You can also check the difference between Kobe and Wagyu Beef and pick your favorite one! 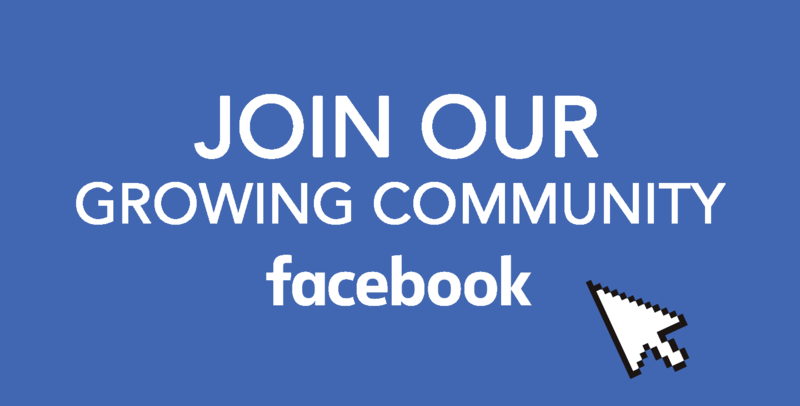 We have a growing community on Facebook, join our Facebook Group and be a part of it! 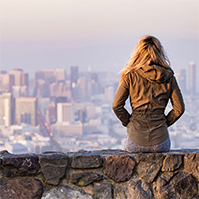 Follow us on Instagram, Facebook, and Pinterest and don’t miss any blog post!